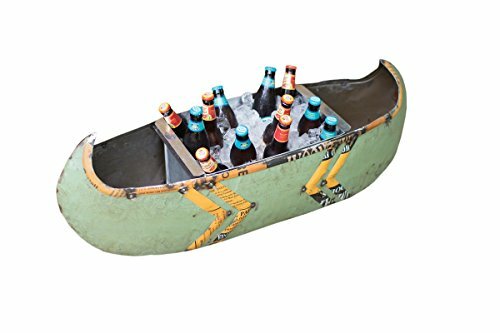 Made of painted metal, this canoe shaped tub would be a great decorative storage solution - stash extra throw blankets or pillows in and display it near your fireplace or outdoors for movie night! The extra large tub would also be great as decorative storage - toss in magazines, knitting supplies, fireplace kindling and so much more! If you have any questions about this product by Kalalou, contact us by completing and submitting the form below. If you are looking for a specif part number, please include it with your message.